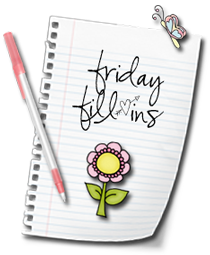 I am on time this week; let's start the weekend with some FFI fun! TGIF peeps! 1. MPG not having a PR is not the end of the world. 2. Sitting here, listening to the sound of rain falling, I am reminded of love and second chances. 3. Egg waffle tastes so good! 4. Sometimes, putting others first is not good especially when they take you for granted. 5. Melbourne is breathtaking, really. 7. And as for the weekend, tonight I'm looking forward to relaxing with B, tomorrow my plans include shopping and Sunday, I want to update my work stuff! Heheheheh no stopping me when I’m on a roll Monica LOL!!! TGIF Monica!! No worries, just fun! marzie, you're early this time! i've forgotten abt my FFI entry la. :-P will try to do it tonight. :) I'm now working on my FF post on AGP, dunno when can siap. Hehehehehhe, happy Christmas vakasi in Melbourne Shemah! only wake up around 8pm.. how??? Oh a rainy day sounds nice. I have the water sprinkle going here. it's very hot and very dry. This is quite the list. I would love to travel as much as you have been able to do. Big big hugs Marzie...please know you are more appreciated than maybe you think!! So many of us love you so much!! Humm....MPG with no rating? I will see if I can work in a post next week and add a link...okay? Jackie! Hahaha, thanks so much for this lovely comment sweetie! I do my best to keep up with blogging, gotta keep those readers happy! And it’s fun to chop and drop, so I’m loving it right now, thanks again for your kind words here, love ya! to dance.. and sing!! and she wants to pakai makeup!! ohhhh nooooooooooo!! Hahahhaha pakai make up? So cute! Wah clever edi ur girl LOL!!! He he, better not kacau ur vakasi budget, don worry…I can feel the vakasi happening for u Shemah! Everything’s going as planned LOL!! soooo weird she knows which to use where..
yes, there is hope after all.. I just believe it deep in my heart! i missed melbourne and i love everything about it. it's such a gorgeous city with lots of good food and apparently there's lots of good shopping. =-O =-O MPG is still zero pagerank? how could it be? have a restful weekend Marzie. Yay, sure can go vakasi Shemah! No two ways about it LOL! yeahh.. she'll be two end of october.. she's been watching syura i think..
LOL! mommy where got mekap2 selalu!! LOL! Am watching forever love again to cheer myself up Shemah! hahahah i nak gondol lah rambut allie, marzie!! it's curly but quite nipis..
i think if gondol it will grow out nicely.. what say you? LOL! Happy weekend to you and B and those furry cats of yours. yeah Marzie, just never giv up! Morning Fyzal! Enjoy ur weekend okay?